If you've got kids, the chances are that you'll have likely set foot in Toys R Us on more than one occasion. 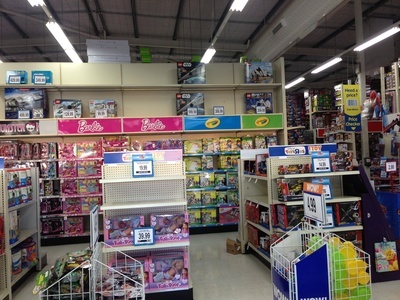 Toys R Us are known for their wide selection of toys in addition to a great range of baby items. As they also offer a price match guarantee, it's a store that many parents head to when seeking out toys for their children. 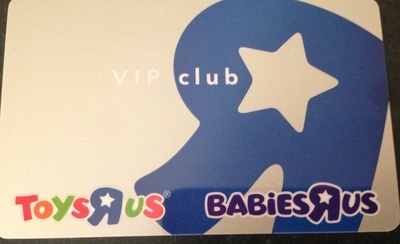 However, as toys don't come cheap the VIP card from Toys R Us provides a little extra helping hand. Additional discounts on items exclusive to VIP members. Advance notification of major promotions. To join the scheme, simply ask for a card the next time you are in the store and then register your details online here. Then going forward just present your card every time you make a purchase so that you can keep saving up your points. Once you have 500 points you are able to redeem on a future purchase which equate to $5 off (100 points = $1). I recently visited Toys R Us outlet at Kotara, NSW and was fortunate to come across a salesperson by the name of Maggi Bladenhurst. Maggi was absolutely excellent - nothing was too much trouble. She advised me, got me a trolley, came up with helpful suggestions for gifts and was generally very pleasant, friendly and courteous. So nice to come across someone like this.